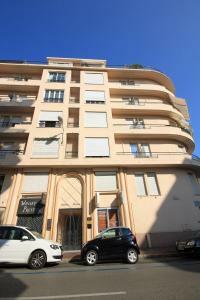 Cannes 3095 is a 2-bedroom apartment 250 metres from La Croisette and the beach in Cannes. It is air-conditioned and has a balcony, free Wi-Fi and an iPhone docking station. This self-catering apartment has an equipped kitchen with an oven, hot plates, fridge, dishwasher, microwave, toaster and a coffee maker. The living room area features a home cinema. There are 2 bathrooms, one has a walk-in shower and the other is connected to one of the bedrooms. A washing machine and ironing facilities are available. The Palais des Festivals is 1.3 km away and just 250 metres from the apartment you will find the well-known Rue des Antibes. Please note that property has no reception. Owner will call you to plan a meeting point at the apartment Please note that a EUR 1500 damage deposit will be requested upon arrival. This may be used to charge for any damages incurred to the apartment during your stay.